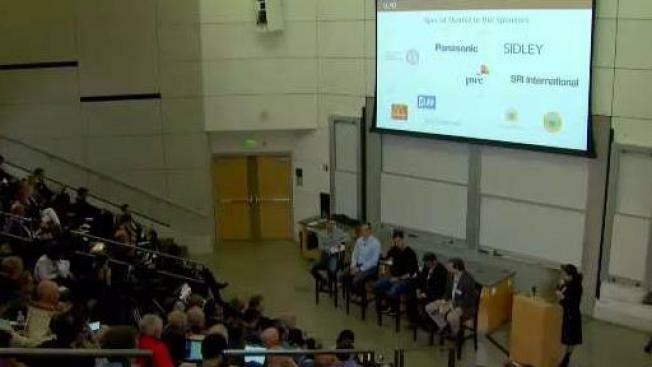 Some of the brightest minds in the autonomous vehicle industry were in the Bay Area on Thursday night, talking technology, timing, practicality and safety. During a panel session at Stanford University, experts predicted driverless cars will be a reality within 10 years but with some caveats. The panel members, who are involved in creating and financing self-driving vehicle technologies, say passengers will soon be able to get into a car and tell it where to take them. "High complexity, low speeds, 20 mph downtown, well-mapped areas; we’ll see it pretty quickly," said Alexei Andreev of Autotech Ventures. The technology may soon be here but industry experts admit the public still has a way to go before feeling comfortable with the idea of driverless cars. "Some companies are architecting and have very safe vehicles, but someone else that hasn’t done the relative due diligence goes in, does something bad, and that affects the entire industry," said Ivan Mihov of Zoox. Federal investigators on Thursday released their initial findings in a deadly crash involving an Uber driverless test vehicle and a pedestrian in Arizona in March. The onboard computers detected the person, who was pushing, a bike six seconds before the collision. But the system didn’t try to make an emergency stop. It’s still unknown how much the public will tolerate this type of accident or any others. "Clearly, if you have a massive accident with a lot of people dying in one particular event, it will likely have negative impact," Andreev said. "But on the other hand, you have school shootings, and nothing happens." The aim for the industry, leaders say, is to advance the technology so much that people will feel as safe getting into a driverless car as they do getting into an elevator. One expert says he believes driverless semi trucks might actually be adopted first because there is such a need for drivers.